Since its development, Building Information Modeling (BIM) has been used to detect clashes and improve coordination among the trades. 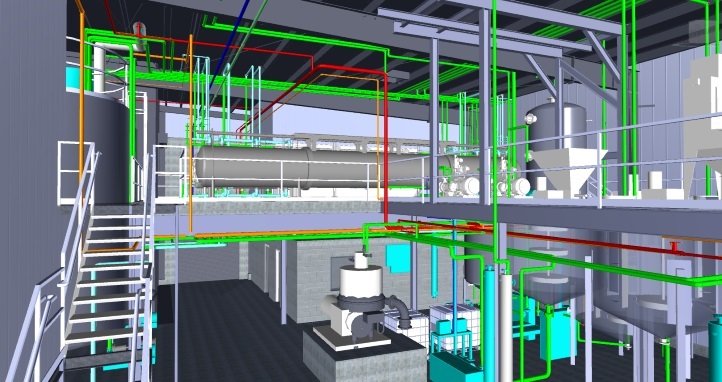 By sharing 3-D system models with all stakeholders, we can take you on a virtual walk-through of the project and detect coordination conflicts before the construction process begins. As construction projects get more complex it is essential to limit risks and eliminate mistakes before work begins. Our in-house engineering department offers you the full benefit of licensed professional engineers and experienced detailers equipped with the latest in technology. Streamlined design and installation providing you with better quality construction. Constructability issues are resolved before the construction process begins. Prefabricated ductwork using data downloaded directly from the 3-D model. Prefabricated pipe and fittings using spool drawings created directly from the 3-D model. Detailed material takeoffs directly from the 3-D model ensuring all material is on-site when it's needed.